Damon and Stefan. . HD Wallpaper and background images in the Damon and Stefan Salvatore club tagged: damon stefan brothers salvatore paul wesley ian somerhalder vampires. 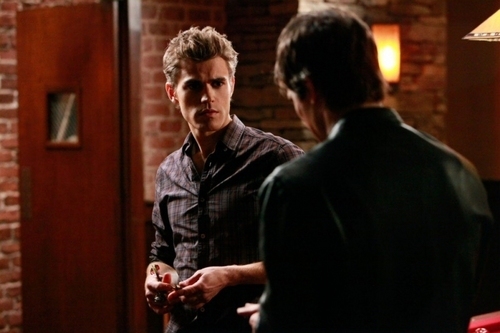 This Damon and Stefan Salvatore photo contains スーツ and ビジネス スーツ. There might also be 通り, 都市現場, 都市環境, ストリート, 都市, 都市設定, and 都市のシーン設定.